I based this recipe off my super seedy hemp protein bars. 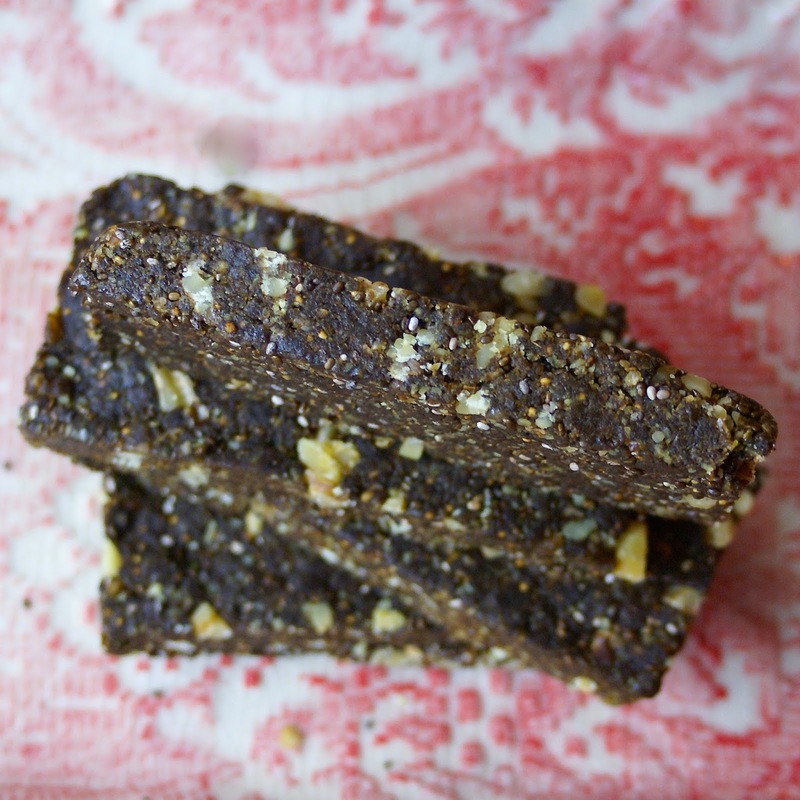 They have become my go-to snack when I’m super busy and post-workout bar of choice. 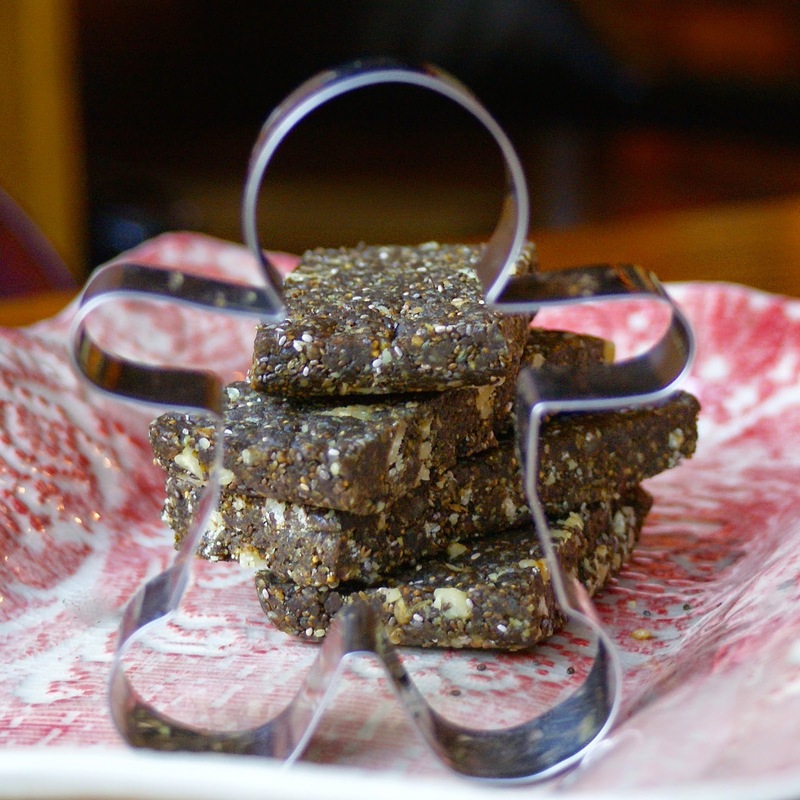 Because I love gingerbread, I decided to update my favorite hemp protein bars to become a seasonal treat. With the perfect amount of gingerbread goodness, these bars will energize you while fulfilling your sweet tooth; all while helping you not pack on the pounds this holiday season. Cheers! 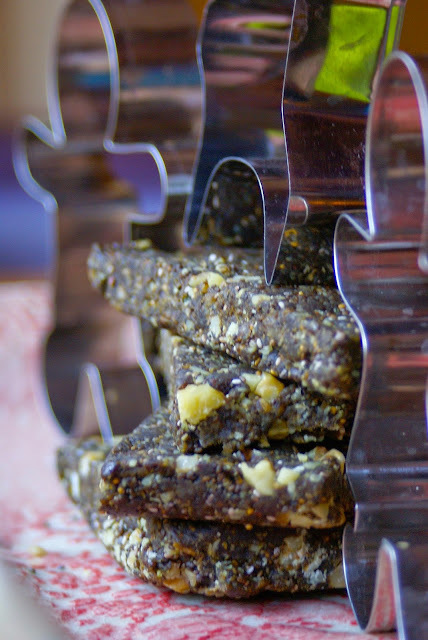 *These bars can easily be made nut free by subbing the walnuts for pumpkin seeds or chocolate chunks. You can also leave them out entirely. 1. Add the dates, figs, and coconut to the base of a food processor. Pulse together until a rough flour begins to form. 2. Add the hemp hearts, hemp protein powder, cinnamon, nutmeg, ginger, and salt. Blend until well combined. 3. Add the tahini, blackstrap molasses, and vanilla extract. Blend until you can pinch together the dough and it sticks together. If the mixture is too dry, you can add water one teaspoon at a time. Pulse in the walnuts. 4. Empty the dough into a 8×8 inch baking pan and press down to form a even layer of the dough. Make sure it is firmly packed. 5. Put in the fridge for at least 6 hours to set. Cut into 8 equal bars and store in the freezer in a air-tight container.